LITTLE HUNGER at the Museum is open only during holidays and certain weekends. The cider bar located at the entrance of the museum remains ever so successful. It is the culmination of a long visit. It must be said that walking through the aisles of the mansion requires some 3 hour tour in order to truly enjoy the beauty and variety of the site. 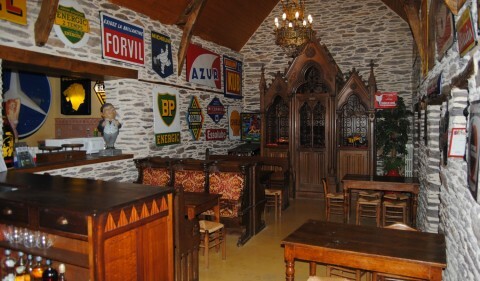 In this magnificent bar, do not forget to taste the crepes in company with a good Breton cider. A time much appreciated by our visitors.